The Media Research Center is undertaking the largest effort in its history to expose and neutralize the liberal media elites in 2005, a $3.1 million campaign called “Tell the Truth!” 2005. This campaign is a follow-up to the MRC’s highly successful “Tell the Truth!” effort in 2004. That 2004 campaign was an emergency effort to increase the level of the MRC’s normal activities in response to the extreme level of activity of the liberal media in 2004, an election year during which they tried to push America toward a liberal government and appeasement in the War on Terror. The MRC tested the “Tell the Truth!” concept in April of 2004. When results were tabulated, it had reached 51 million Americans weekly. The campaign was rolled out in late June 2004 and by July the MRC was reaching 59 million Americans weekly; in August, 61 million per week; and September, 68 million. 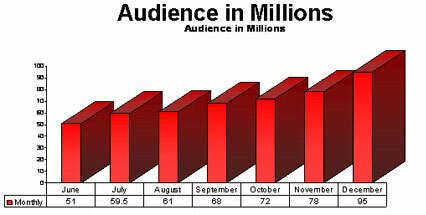 By late October 2004, “Tell the Truth!” was reaching 72 million, and by December reached 95 million Americans weekly. The 2004 “Tell the Truth!” campaign effectively prevented the liberal media elites from achieving their primary goal of destroying the Presidency of George W. Bush. "We live in an age where irresponsible or inaccurate journalism has no consequences. So who cares except for you and me and the Media Research Center…?" Funding for the 2004 “Tell the Truth!” campaign began in June of 2004 and supported MRC special activities through June of 2005. Now those funds are gone and the MRC must fund another 12 months of “Tell the Truth!” efforts in response to the latest threat. Reach over 50 million Americans every week during the second half of 2005 with the truth, backed by abundant examples, of the bias, distortion, and lies of the mainstream media in order to neutralize their impact. 1. The War on Terror -- The leftwing elites who control the media do not support a military response to terrorism. They oppose the war in Iraq. Over-reporting and distorting prisoner abuse stories have undermined our military’s morale. Misreporting on the actual positive achievements in Iraq and Afghanistan is giving Americans a false picture of the true situation and is eroding public support for America finishing the job it has started. 2. Economic Policies -- Economic progress made under the Bush Administration is not reported. Even modest budget-cut proposals made by the Administration are described in the media as attacks on the neediest citizens. Americans have been told by the media that reform of our ailing Social Security System is “not needed.” Further, proposals to reform Social Security have been misrepresented as “benefit cuts” time and again, although this is demonstrably untrue. 3. Political and Social Policies -- The media continue with even more intensity to impose their agenda of a secular America. American Christians are described as being like the “Taliban.” Conservative efforts to restore constitutional balance to the judicial confirmation process are denounced by the media as “extreme” measures. The 2004 “Tell the Truth!” campaign was hugely successful. But the MRC has made even more improvements to expose and neutralize liberal media bias. Internet presence. The MRC has helped pioneer this important new tool in organizing, educating, and mobilizing conservatives. In 2005, the internet will play a leading role in exposing the top stories in the news. Thus, the MRC has undertaken the task of expanding its ability even further to capitalize on the potential of this all-important medium. Mobilizing grassroots America. Mobilizing grassroots America. In 2005, we will further exploit growing American dissatisfaction with the liberal media. We will enlist Americans like you to join us in demanding with one loud voice: “Tell the Truth!” As funding permits, the MRC will place full-page ads around the country with the “Tell the Truth!” message, as well as take out billboards in as many of the top 50 media markets as possible. The MRC will produce and distribute tens of thousands of bumper stickers, coffee mugs, pens, t-shirts and other assorted paraphernalia, all with the “Tell the Truth!” slogan attached. In 2005, the MRC will launch the Institute on Culture and the Media. The Institute is a specialized effort to confront and expose those in the press who are trying to remove God from the public square and are aiding and abetting the cultural and moral disintegration of American society. And finally, as part of the “Tell the Truth!” campaign, MRC analysts in 2005 will participate in a sophisticated public relations campaign, confronting journalists directly with the evidence of their bias. For more than 18 years the Media Research Center – America’s Media Watchdog – has been documenting, exposing, and neutralizing the leftwing press. We don’t want a “conservative” news media. We want, and demand, truth. We want the news media to strive for objectivity at all times. We want balance. We want fairness, and we invite you to join us! Take Action and Make a Donation!